Where to build your next tech startup? Toronto vs. San Francisco. I am a tech entrepreneur. My last business was AdParlor. We quickly became one of the largest Facebook advertising companies in the world — managing spend for Walmart, Netflix, Groupon and many more. We did all of this with one office (in Toronto) although I spent about 1/3rd of my time in San Francisco. After being acquired by Adknowledge in 2011, we opened up several more offices including New York, San Francisco, London & Singapore. I am now on an adventure to build my next company and debating where it should begin: Toronto or Silicon Valley/San Francisco. I have thought a lot about this question and wanted to share my analysis, and get some feedback. Let’s start with one of the easiest metrics to quantify. The cost of a developer in each of these cities. Taking a look at salary data on AngelList — we can see that average developer salary in San Francisco makes ~$120k USD. On top of the $120k — there are two additions that I would like to take into account. First, most companies in San Francisco have to offer a ridiculous amount of perks and benefits in order to compete. Three free meals a day, travel stipends, yoga/gym memberships, free flights home, games rooms, and a never ending supply of free drinks and snacks are just a few examples. Let’s call it (+$30k) for these perks and benefits. Secondly, given the number of opportunities available at big tech companies as well as other startups, the average tenure of a developer is somewhere between 1 to 1.5 years. I have associated a cost to this quick turnover (+$40k) which is very conservative. One of the great benefits of being in Canada is the government SR&ED credits. The calculation can be a little complicated, but at a high level you will get back about 54% of that developers salary (35% of salary * 1.55 overhead)! In this example — the SR&ED credit would be (-~$27k). There are definitely still perks and benefits required for Toronto based developers, but I would put it at half (+$15k) of what is offered to their counterparts in San Francisco. Additionally, developer loyalty is 3x what it is in SF given the marketplace and how conservative Canadians are — so I would peg the cost of turnover at (+$10k). Comparing these numbers — $190k USD for a developer in San Francisco to $48k USD for a developer in Toronto — we are looking at a ~4x difference. In other words, you could hire 4 developers in Toronto for the price of 1 in SF! Of course, we need to also look at the quality of these devs. The truth is, many of the developers coming out of the University of Waterloo are some of the best in the world. While a portion of these great developers move out to the valley, there are many who prefer to stay in Toronto. For many startups, raising money will be an important step in the growth of their business. 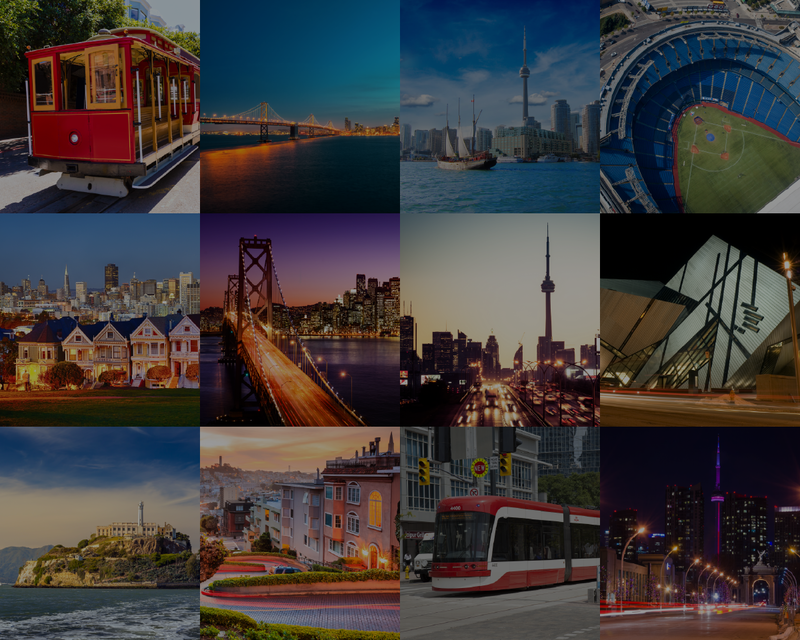 The Toronto VC community has improved dramatically over the past few years — with smart money being invested by BDC, OMERS, iNovia, Georgian Partners, Rho, Real Ventures, and many others. However, VC investments in Toronto pales compared to Silicon Valley. Regardless of which data source and which metrics (# of investments, average investment size, $ available at various stages) you look at, Silicon Valley wins by 20–30x! Think $1 billion invested by VC’s in Ontario versus $30 billion invested by VC’s in California. There are many reasons why Toronto is several steps behind Silicon Valley in building a tier-1 VC environment. SV keeps feeding high quality angel investors back into their ecosystem — with the many years of large successful tech companies and big exits. SV also wins at the early-stage and the late-stage levels with a record number of VC companies with large ambitions and record-breaking funds. Everybody knows that SV is where you go if you want to build a billion dollar business — and the investors there are the ones that can help you make it happen. There is a virtuous circle of positive outcomes in SV that continues to build upon itself. One question which I always think about is: Can I raise money from Silicon Valley investors while being based in Toronto? There are many examples of Canadian tech companies who have raised large rounds — with significant contributions from US VC’s. However, most of these companies were very far along in their business with significant revenue/traction. Additionally, the CEO’s of these companies typically spend a lot of time out in the Valley developing relationships and closing these rounds. The answer to my first question was primarily a ‘yes’. Of course, there is a big difference between saying yes and actually writing a cheque. :) Many VC’s were adamant on me solving a problem that I witnessed at AdParlor and/or staying in the marketing/advertising space. The answer to my second question was about 50/50. Some VC’s would have no problem investing in me if I were to be based in Toronto given that I have had an exit before. While the other half would want me to be based closer to them. Given this — I will use the lower end of the 20–30x scale. While being able to raise US money in Toronto is possible, nothing can beat being physically present in the valley to network and build relationships with the big US VC firms. Keep in mind that most rounds have multiple investors. VC’s bring in their VC ‘friends’ to invest with them. The US ecosystem is much bigger, hence each US VC has more ‘friends’ they could bring in, making it easier to raise a large round. There are MANY other factors to dissect, but in the interest of keeping this post readable — I am going to nail the next few out in a paragraph each. Conclusion — Which city wins? What am I going to do? For the ideation and fundraising phase, it is better to be in San Francisco. When you know what you need to build and are heads-down hiring and executing, it is better to be in Toronto. If your business is reliant on other tech companies for partnerships or if they are your customers, then you should stay in San Francisco. If you are able to raise enough money (and have enough traction/excitement around your company) such that you can recruit and afford top talent in San Francisco, it would make sense to stay in SF. Finally — even when/if you decide to build your startup in Toronto, you should always keep a San Francisco presence in some capacity (shared working space, a biz dev employee, flying out frequently…) to take advantage of the serendipitous interactions and networking opportunities. Repeat Tech Entrepreneur. Current: SnapTravel. Previous: AdParlor. Content from the SnapTravel team. We are the leaders in conversational commerce, letting you book Hotel deals over SMS or Facebook Messenger - as easy as messaging a friend!